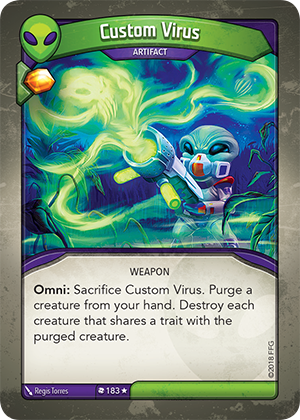 Omni: Sacrifice Custom Virus. Purge a creature from your hand. Destroy each creature that shares a trait with the purged creature.